We're on a freshness drive at NationMaster. No old stat is safe. We know you want to rely on us for the most recent stats on the net. That's why we've updated our crime stats based on a UN-affiliated 2011 report, including data on rapes and robberies. We've also got figures for car production for 2010. We applaud the World Bank's open data initiative, and we're currently working to import all that too, ensuring that the language is accessible as possible. Videos: I just did a search on YouTube and found these reviews. It's great to see the site represented in a visual form. Check this NationMaster overview in English and this review of NationMaster in Spanish. Announcing the launch of perhaps our most useful feature yet. Check it out at The Full Wiki. The Full Wiki has released its most interactive feature: quizzes on 44,000 topics. We use Wikipedia as our source to what we believe is the largest quiz source in human history. How much do you know about volcanoes? Or Racism in Asia? Or take our comprehensive United States quiz. Find out how much you know about Tourism. Test your knowledge on hanging and serial killers. Or the relationship between alcohol and cancer. If this all makes you sad, try our sadness quiz. Or if this is all boring you, perhaps you should take our boredom quiz. It's all still in beta but check out our full list of quizzes. All you stat lovers out there, check out our new site, The Full Wiki. It allows you to monitor global trends by seeing what's hot on Wikipedia. We've combined Wikipedia traffic data with their categories, to create 13,000 what's hot lists. Updated daily. Find out what countries spike the world's interest in all kinds of areas like prostitution and racism. Or check out other hot lists like top internet memes, top hoaxes in the US and biggest mysteries. You can see at a glance where most of the activity in the Renaissance happened, namely Europe and primarily in Italy. 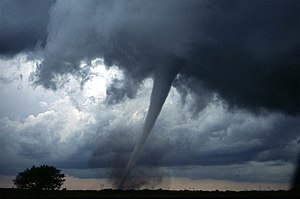 Where are the world's tornados? Or volcanos? Heat waves? Nuclear power plants? The map and the article are linked throughout. Click on a map marker and it jumps to that part of the article. Click on an article marker and it will show you that location on the map. See for example our tourism fact map. If we click on Bangkok (Q), for example, we can see the relevant part of the article and learn that it's the third most visited city in the world. Or zooming into Europe and clicking on Nice, Wikipedia tells us it was one of the first and best established resorts in the French Riveria. From the makers of NationMaster comes a new project aimed at harnessing the wealth of content of wikis. It's called the The Full Wiki. Its goal is to become a platform for an enriched user experience for wikis using open licenses. We have seen many fantastic projects come and go under the weight of traffic spikes, large datasets and the need to stay fresh. We want to provide serious hosting resources to make these projects feasible. If you have a wiki oriented project you'd like us to host or provide other help, check out The Full Wiki. We are honoured to be listed among Australia's best web 2.0 applications this week. Ross Dawson produced a list for the prestigious Business Review Weekly showing our most internationally successful, innovative sites. Two of our sites, FactBites and NationMaster, made the grade. THe middle column is rank according to Feb08 Quantcast data. This puts us in 3rd and 18th places. No matter how you cut it, Rapid Intelligence is one of Australia's top independent publishers. We've just put live a significant revision of our technology on Factbites. Now there's more and higher quality results. We hope you notice the difference! Also, we have a new feature on the way which will be pretty obvious once it hits the site. Stay tuned. Thanks for all the words of support. It keeps us motivated more than anything else. I forgot to mention. Factbites launched an In The News feature to the front page of the site. This links to hot topics that are being discussed in the news that day. Rapid Intelligence, keepin' it fresh. The results that Factbites generates are still extracts from web pages, but they are of far higher quality than the summaries that main stream web search engines provide. By focusing the technology on passages that make statements about the topic being searched for, the user experiences a far richer response. It should be noted that this type of interface has the potential to change the way in which searches are performed as the search engine is now doing more of the heavy lifting and is not trying to guess the intention of the user. The site also has an In The News feature now, linking to the recent topics. I've just updated a new index for our site FactBites. It now fields 2 million keywords. More features to come. StateMaster, a free online resource for comparing US states, has been released today. We have translated our winning formula of statistical comparisons, graphs, maps and flags to the 50 states of America, giving our users another level of data at their fingertips. With over 2,500 stats on StateMaster, you can find information on anything from binge drinkers to p>race related hate crimes. Detailed state profiles, as well as thousands of maps and flags, are also included in the database, making us a one-stop resource for information about US states. Keep in mind that our Volunteer Editor program will also be implemented for StateMaster, bringing together a community of folks interested in data and general information on US states. Let us know if you are interested! FROM THE MAKERS OF NATIONMASTER - FACTBITES! What do you get if you cross a search engine with an encyclopedia? The answer arrived on the net today - Factbites (www.Factbites.com), a new approach to search. Under the slogan "where results make sense", Factbites provides searchers with full sentences about their search topic, rather than the sentence fragments most search engines offer. Rather than focusing on link-based technology like Google, Factbites delves into the tone and subject matter of the given topic. The engine "reads" the content of each page and determines how meaningful the text is. It seeks out authoritative and informative content, preferring encyclopedia-style fact-based descriptions to the chatty, spammy and inconsequential. The end result is a clean summary you can almost read from beginning to end. Not only is this an effective filter against spam and clutter, it's also a time saver, because it gives users a clear picture of what each destination site is about. For encyclopedia-style content, the site makes some large claims. The website challenges users to compare Factbites results to Google results at Factbites vs. Google. When searching for quick information on the sort of things you'd usually go to an encyclopedia for, the results are surprisingly clear - Factbites wins hands down. Don't take our word for it, check the site yourself - Factbites! What do you get if you cross a search engine with an encyclopedia? Factbites - a new way to search the web. Other search engines spew out meaningless site-names and mangled phrases. NEW! Factbites Toolbar for IE and Firefox users! Copyright © 2005-2007 www.factbites.com. Usage implies agreement with terms.